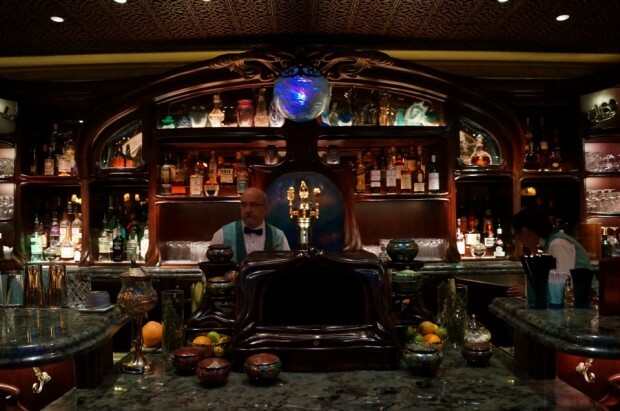 Former Club 33 member Joe Cosgrove has sued Disneyland, claiming that his membership was unrightfully terminated. Many of the mainstream media outlets have covered the story one-sidedly. Here we aim to provide the full story. Cosgrove, who claims he’s been a member since the opening of the club in 1967 (and claims that he was personally invited to be a member by Walt), is suing Disneyland, believing that his membership was unfairly terminated at the beginning of the year. In the lawsuit, he claims it was terminated due to a friend auctioning off complimentary park hopper tickets to Disneyland. It is strictly forbidden for a member to auction off any benefits provided by the club. Anything a guest does as well, reflects on the member, to which Joe was punished for his “friend’s” mistake. Cosgrove claims that it was unknown to him that his friend was auctioning off the tickets for charity, and believes the Club should’ve put his membership on hold so he had the ability to make reparations. Suzi Brown, a spokeswoman for Disneyland, claims this is not Cosgrove’s first offense. 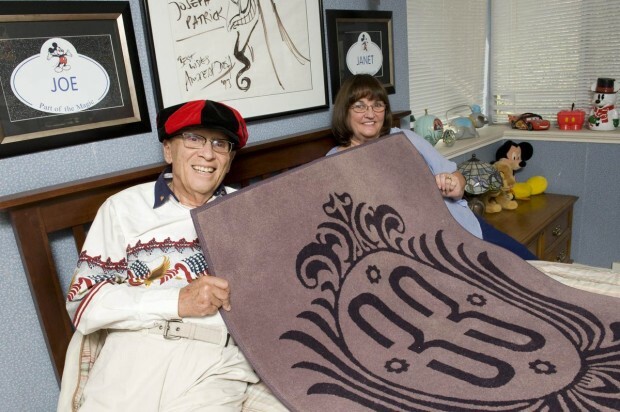 Disney also has stated that he is not an original member, and has only been a member since 1979. 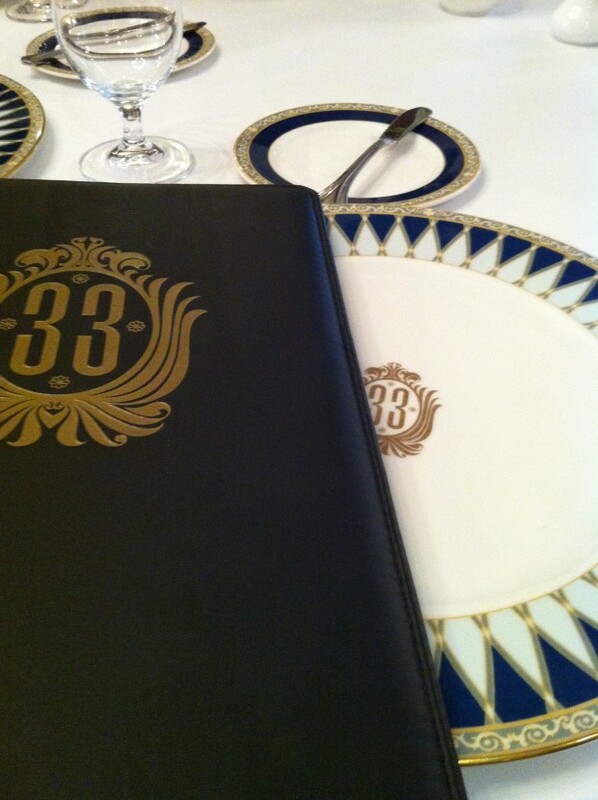 Club 33 is an exclusive restaurant and lounge in New Orleans Square, Disneyland. To gain access, you must be a member or know one. Over the last few years, the membership benefits have been altered drastically. For example, members are limited to 20 outside reservations a year; meaning they can only make 20 reservations where they aren’t present at the table. They also have 50 complimentary park hoppers a year, to which and whom they can distribute as they please. Members also have a strict set of rules and limitations that comes with their memberships, to which all members must fully understand and agree to before officially becoming members. The other offenses, to which Brown alludes to, lead to the drastic membership changes in the last few years. For example, a person (who wished to remain anonymous) has confirmed that the Cosgrove’s has overcharged not only them, but many others for use of their membership benefits. For example, events happened frequently, which would cost approx $150 per person. The Cosgrove’s would charge their guests a significant dollar amount more than what the Club themselves were charging. It is also forbidden in the Club to make any sort of profit off of your membership benefits. “I have so many guests dining at the club, I have created a spreadsheet, to keep the reservations straight, and a form that I email them, with all their information and an area for them to sign and agree that they will show up and abide to the rules of the club”. This member also says it was nearly impossible for them to make a reservation 3 months in advance, due to the club being constantly booked with non-members. Cosgrove is suing for $100,000 in emotional stresses and other damages. His attorney, Mark Corinett, a patent lawyer from Oregon, cites in his complaint, filed in California Superior court on June 19th, that Cosgrove has done nothing wrong to have his membership terminated. He is also known for promoting and selling his book “Walt Dreamers Me” in the dining room and the lounge of Club 33 (a recent addition to the Club in the last year). The complaint, unfortunately reads like a promotion for his book, and has continuity issues. For example, at one point it states he’s been a member for 45 years, and at another it states he’s been one for 47. There is no disputing that Cosgrove is a lifetime fan of Disneyland, and the Disney company in general. His attorney believes that Disney wouldn’t fight his claims, being that he is elderly and has dedicated a large part of his life to Disney. At the moment, the Disney community is split; many believing his membership was rightfully terminated, and others believing it wasn’t. What is your opinion on the situation? Share this story and comment your thoughts below. For more Disneyland news and secrets, be sure to sign up for our Disney Dose newsletter and join us on Facebook. Regardless, as someone who used to be a member.. the terms and conditions were VERY clear and those terms were violated. There were very strict guidelines on those passes that are well known by all the members and Disney is very clear on the fact that they cannot be sold, bartered, or even donated. Whether you agree with that policy or not, that is the policy and has been for at least a decade. Looking at the facts, it is a shame that someone they entrusted passes to chose to violate the rules. But then again, that is their assumed risk. It is also why the intent of granting access to the benefits of Club33 has always been that it be for “associates” of the member and not random third parties. They took an extreme risk entrusting a third party. That isn’t Disney’s fault and Disney has made it very clear to the membership that there is a zero tolerance on these types of abuses. Sarah, regardless of his personality and how you feel about him – the rules are the rules. From Disney’s statement it’s clear that they have given him plenty of chances in the past, but he never learned to follow the rules. If anyone should be upset about this, it should be the members who had their benefits changed because of his actions. I heard club 33 member Ted C. say these exact words. He’s one of the uptight 1% that claims he couldn’t get reservations because of how many (non-members) were allowed in by Joe Cosgrove. Well the place is a ghost town in there now. Good job, you have the whole place to yourself now! As for multiple past offense’s revealed. This article fails to point out any proof, just a Disney spokesperson (lol sure) and some biased 1%’r who claims to have inside information. It’s a hype article with no evidence at all of it’s claims. Want me to prove it? Why Doesn’t Disney simply show the long history of offenses and the “documented warnings” Joe C got for breaking club rules?? Hmm? It would be game over for Joe’s lawsuit now wouldn’t it, nip this in the bud today? I’ll tell you why.. because Disney doesn’t have it! I assume that the tickets in question are like any other Disney ticket media, where they may not be sold, bartered, nor exchanged for goods, services or benefits. It sounds like Disney, and other members know of them abusing their privilege. If this was just one more thing added to a growling list of things he’s done wrong, it sounds like he’s been more of a nuisance than a loyal member. I say Disney was in the right by terminating his membership. Hopefully this lawsuit gets thrown out. Disney (and Club33) is private property. They have the right to refuse service to anyone… At their discretion. They updated their membership terms a few years back after some alleged abuses to make that point even more clear. Nobody forces these people to pay…. They choose to…. And by continuing to pay those dues, they willingly accept and reaffirm agreement to abide by those terms. Are Disney’s terms one side and blatantly in favor of the corporation? You bet! Membership is privilege… Not a right. Gavin, I appreciate your passion for Disney. However, you are not an investgative reporter and by simply claiming the stores and quotes have been “verified” doesn’t make this anyt more real. To make a story crediable you need MULTIPLE sources who are NOT connected. NO where in this story is that revealed. This article, much likes the lawyers statements in radio or print don’t add up and not consistent. Anyone who comes to your site looking for anything beyond one persons passion for Disney….needs to think twice about using your site as any type of real reporting. I only came to this site as people we using it as real reporting in a conversation…I see they too are ill informed. Thank you for the comment Anders. This pieces was sent in by a reader who wished to remain anonymous. his membership should be terminated. He had the privilege of being a member of Club 33. He should have abided by the rules –as he violated a great many of the rules he should no longer be allowed to be a member. His old age and fan of Disney does not matter. He has profited from and abused his membership. Rules are rules. Keep him terminated and hopefully Disney will not settle this law suit.